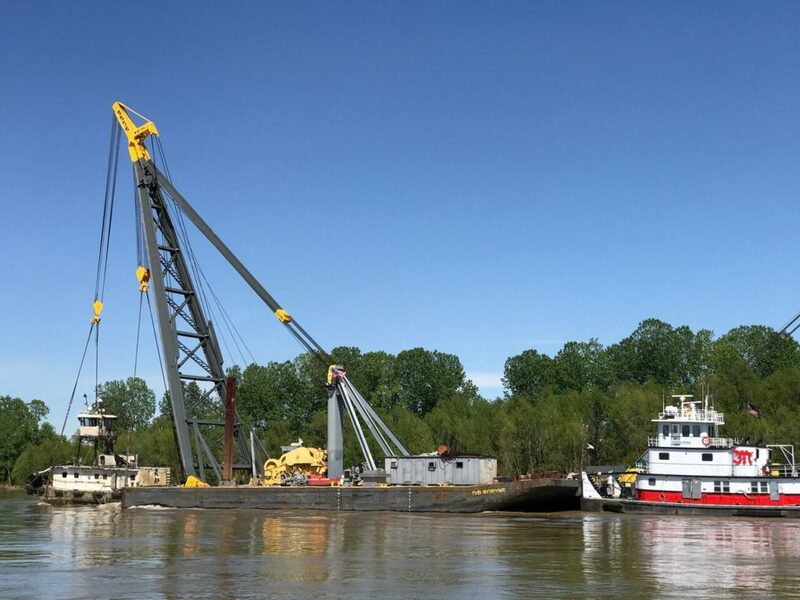 With 50 years experience, McKinney Salvage & Heavy Lift, Inc. specializes in complex salvage, heavy lifts, demolition, and renovation projects requiring exceptional mechanical expertise. We have four large A- Frame cranes with the capability of lifting over 2000 tons. Our licensed crane and vessel operators, joined with our Marine Engineer & Naval Architect have a proven track record of completing complex projects for petrochemical, transportation, shipping, and stevedoring companies on schedule and within budget. McKinney is well prepared to meet your marine firefighting and oil spill response needs with our highly trained and dedicated emergency response team. Call or email us today for more information on how to add McKinney Salvage & Heavy Lift, Inc. to your emergency response plan.